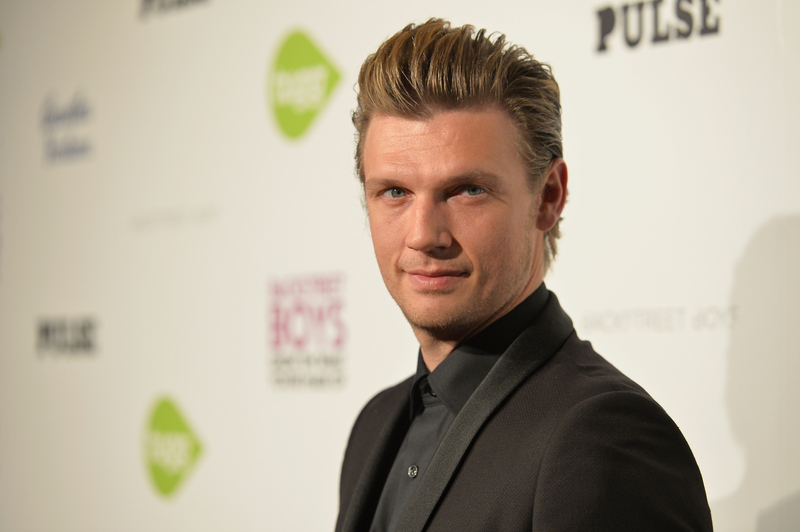 It's a good time to be Nick Carter. The Backstreet Boy is on Dancing with the Stars and is preparing to release his third solo album, All American. Pop music fans are in for a huge treat because Carter revealed he's collaborating with Avril Lavigne on a new song! While doing a Twitter takeover for iHeartRadio on October 20, Carter revealed "I do have collab on my new record #allamerican She's a cool rocker girl from Canada," tagging Lavigne's handle. While the song doesn't have a released date (yet! ), Carter told iHeartRadio, "I talked to Avril about doing a collab together, and we became friends — we were on tour together with the Backstreet Boys. She was into the idea, and she really liked it. She liked the song that I had written, and she put her vocals on the song, and it was really cool." Even better? It sounds like it focuses on one seriously bad romance! "It's a really fun play on a couple. It's like a crazy stalker guy, but then I'm calling her a crazy stalker girl," Carter explained. "And we're saying, 'You need to get over me,' and then she's like, 'No, you need to get over me.' We're giving our own stories of the situation that had gone down in the song." The collaboration sounds like it will be perfect for both Carter and Lavigne. They obviously have pop backgrounds, but Carter's new single, "I Will Wait," has a stripped-down quality to it and Lavigne brings a punk edge to her music. Together, the duo can bring out different sides of each other and create the song of our middle school dreams. Musically, both artists have been out of the spotlight lately, so it's also an amazing opportunity for them to jump back in — while we rock out.